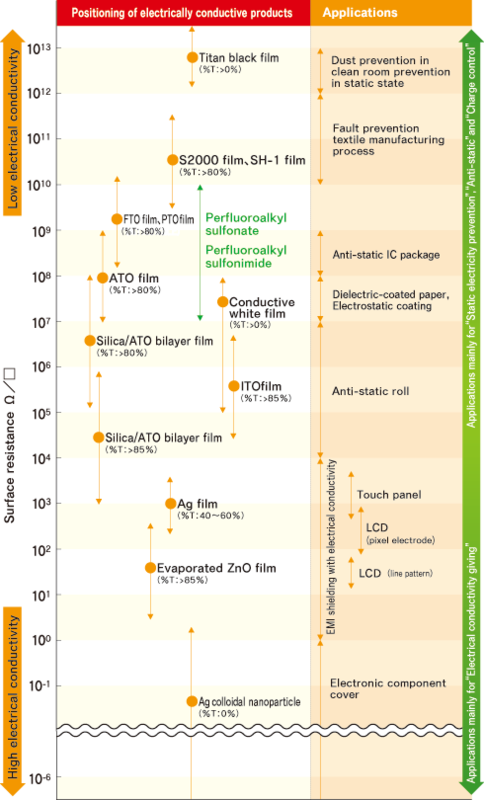 Performance materials Guide | Mitsubishi Materials Electronic Chemicals Co.,Ltd. Mitsubishi Materials Electronic Chemicals Co., Ltd. creates performance materials for the challenge and realization of producing many novel products. By among these products, the materials we will introduce here have an electrically conductive function. Products with high or moderate electrical conductivities are used for the purpose of providing electrical conductivity, and those with suitable conductivities for static electricity prevention,anti-static, and charge control purposes. These products can maintain their functions for extended use.